Arguably the most famous name in motorcycling, Edward Turner’s design swansong for Triumph in 1958 turned out to be his masterpiece. It was the Bonneville T120. Featuring incredible performance and perfect proportions, it’s regarded by many as the definitive British classic. Named after Triumph's 214mph landspeed record in 1956 it inspired a whole new generation of teenage cafe racers and built a legendary reputation backed up with action. 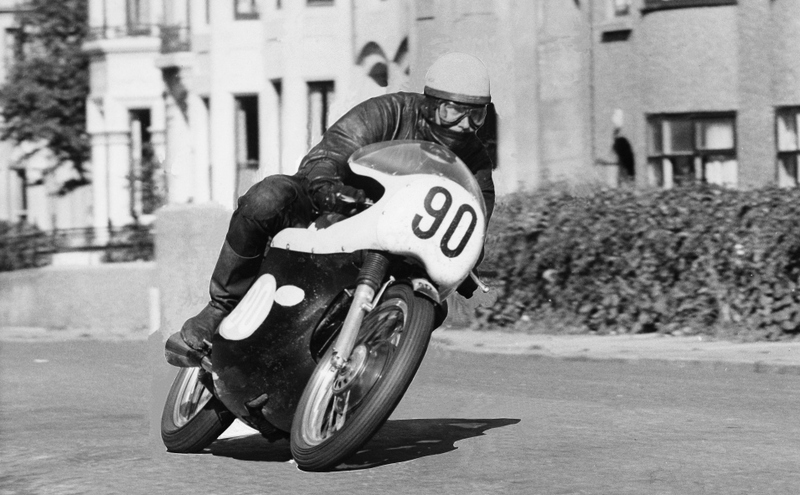 It took John Hartle to victory at the Isle of Man TT and broke records in 1969 when Malcolm Uphill pushed his Bonnie over the 100mph average lap time. Introduced in 2006 the Bonneville T100 paved the way for the iconic T120 name to rejoin the Triumph line up in 2016 with an all new high power 1200cc British twin engine, the new Bonneville T120 was more beautiful more powerful and more capable then ever before and paid homage to its iconic 1958 forefather. Impressive attention to detail – brushed steel and chrome touches – make the modern T120 a head-turner. By taking its styling cues from the original ’58 model and not being afraid to pair that with cutting-edge technology and modern riding capability, the T120 brings the iconic name into the 21st century in style. One of our most highly regarded Bonnies it continues to be at the forefront of what Triumph represents – craftsmanship, quality, performance, detail and true character. 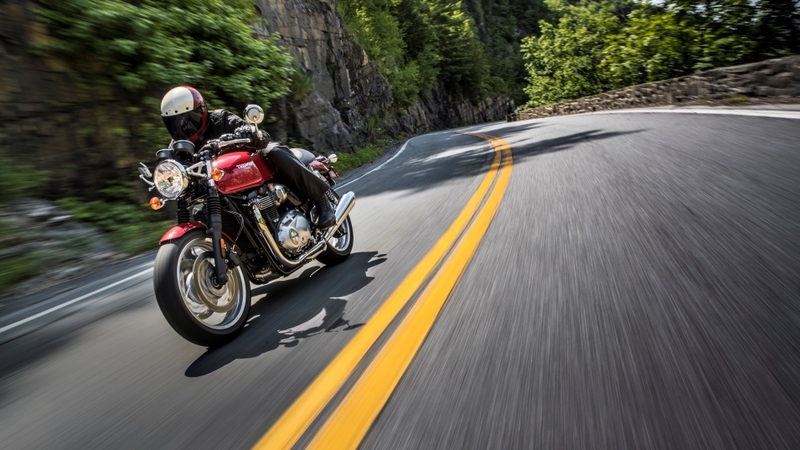 The British classic T100 was launched in 2002, bringing the iconic Bonneville name back to Triumph with a stylish, easy handling modern custom regarded as being a fantastic all-rounder. 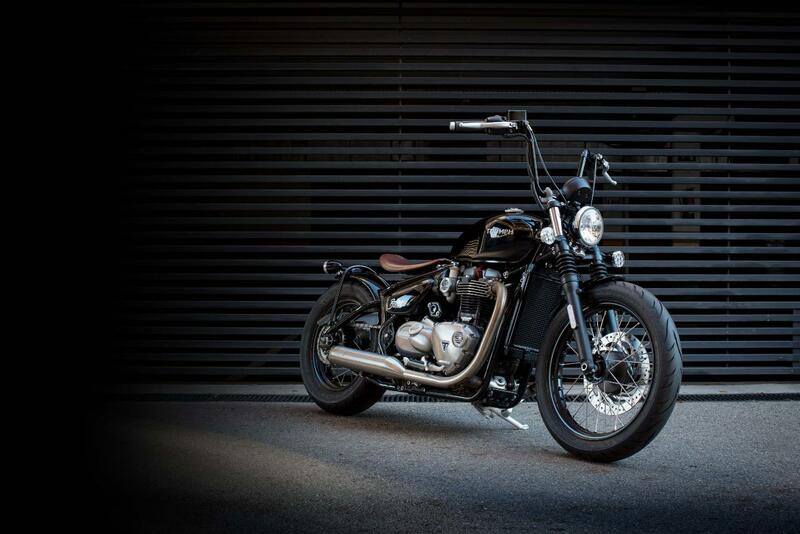 With a passionate following of proud owners the T100 played a key part in the birth of the modern custom scene. The first Bonneville to feature fuel injection and liquid cooling, the T100 brought the classic carb-powered Bonnie into the modern era. 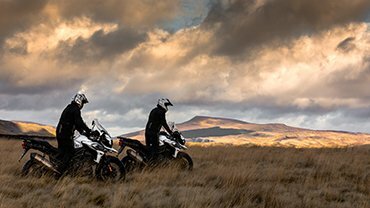 Transformed again in 2017, with a host of state of the art technology features and all new chassis built for confidence inspiring handling, the 900cc Bonneville T100 and T100 Black are the most accessible and advanced Bonnevilles ever made. 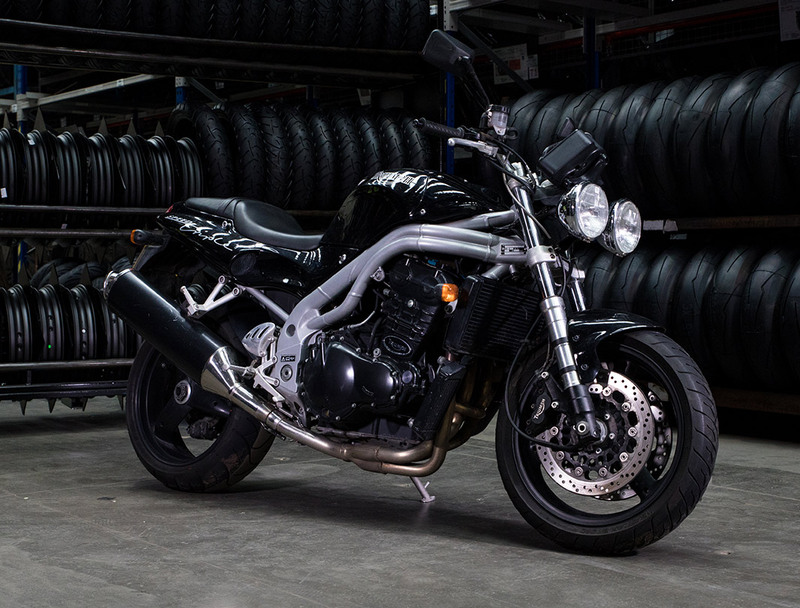 Starting in 2002 with a 790cc engine, it was upgraded first to an 865cc with 360-degree crank, and then to the very latest 900cc twin engine with an unmistakable British engine tone. Designed specifically to deliver torque low down and through the mid range its an engine with real character that's perfect for urban riding, twisty lanes and beyond. 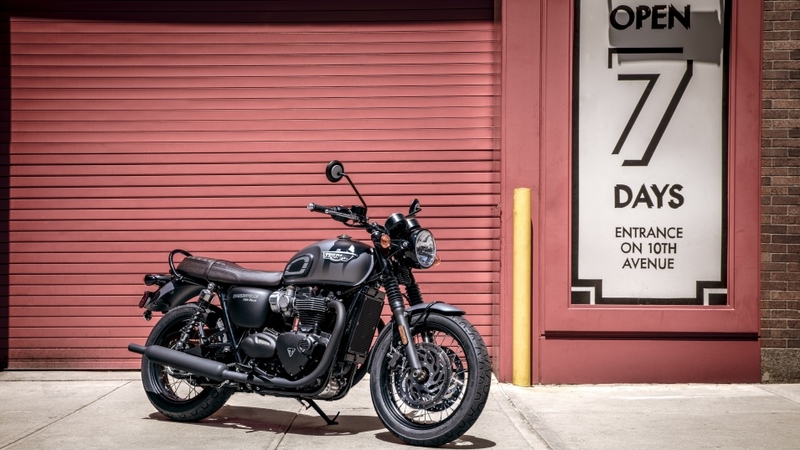 With the introduction of the meaner and moodier Bonneville T120 Black and T100 Black in 2016 the original Bonnie spirit of individualism and style was back. For many, Triumph made the world’s first and most iconic scrambler, evoking the image and attitude of 70s movie star Steve McQueen on his 650cc ‘desert sled’ Bonneville and daredevil Evel Knievel, with his legendary T120TT that jumped Caesars Palace fountains. Building on this peerless heritage, Triumph reintroduced the iconic Scrambler in 2006, inspiring a whole new generation of riders and becoming the poster boy for the new custom classic scene. 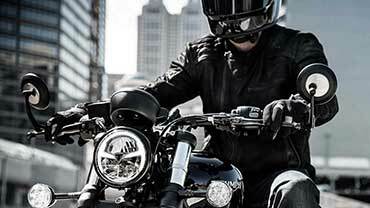 One of Triumph’s most sought-after motorcycles, with its distinctive high pipes, iconic silhouette and thrilling British twin bark, the Street Scrambler has become the first choice for urban classic style and all-road riding fun. One of the first places riders took their Bonnevilles to race and for fun was on the dirt and sand. 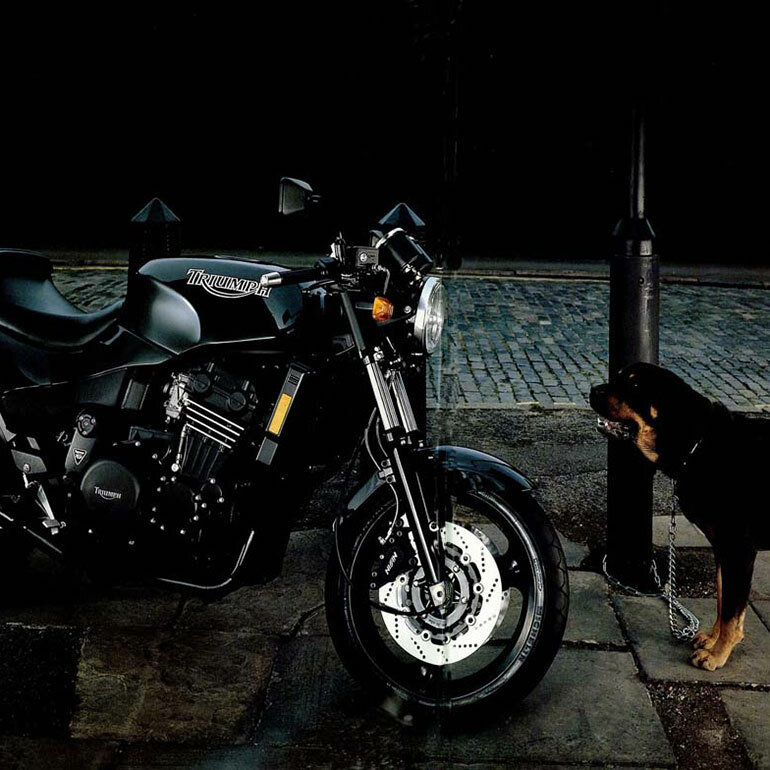 Boasting impressive power-to-weight ratios, the Triumph was THE bike to scramble. 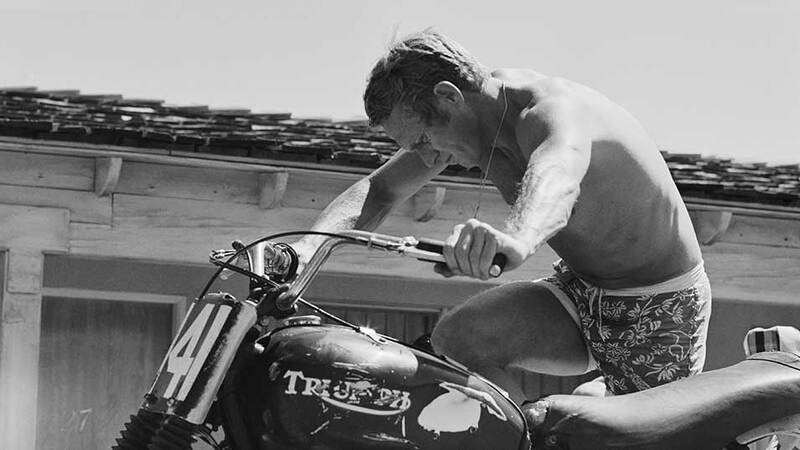 One of its earliest advocates was none other than Steve McQueen, who loved to race his 650cc Bonneville across the Californian dirt tracks. 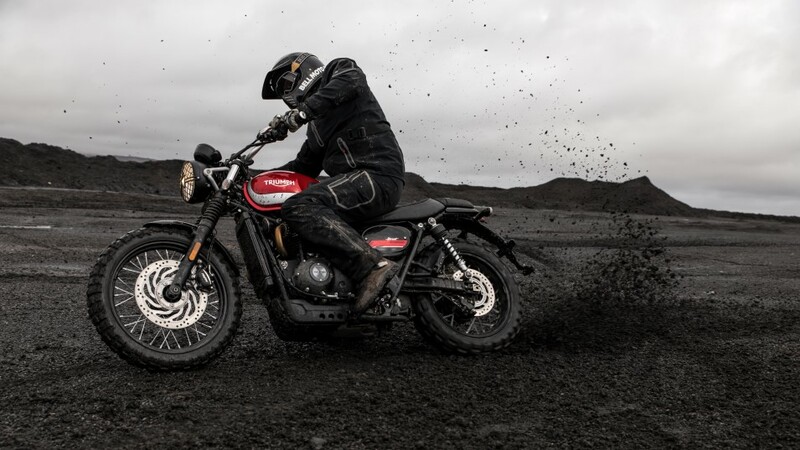 The Scrambler joined the line-up in 2006 and was updated significantly in 2015 with the introduction of the more contemporary Street Scrambler. This motorcycle style icon has enjoyed considerable success in film and television, including becoming the bike of choice for chasing dinosaurs in blockbuster Jurassic World in 2015 and for the ultimate time traveller Dr Who in 2013. The Thruxton legend was born with the first Bonneville and its racing success at the gruelling Thruxton 500 race series in 1958. From its debut win, with a prototype ridden by the equally legendary British racer Mike Hailwood, the T120 racer’s engine gained the nickname the ‘Thruxton’. With, initially, only 49 race-prepped engines built for the Thruxton series the name stuck and went on to not only be the title for the winning TT and US AMA Triumph production racers of the 60s and 70s but also inspired a generation of teenage cafe racers on home-modified T120s. Reborn in 2004, and majorly updated in 2015, today’s Thruxton and Thruxton R represent the modern classic cafe racer choice, with thrilling 1200cc high-power performance and the chassis, brakes and suspension to live up to their legendary name. It’s said that as long as there have been motorcycles, someone’s been racing them. The Bonneville, a game changer for speed and performance when it was introduced, was a top choice for the Isle of Man TT and Thruxton 500. Held mainly at the Thruxton circuit, the Thruxton 500-mile endurance race provided the perfect opportunity for British manufacturers to show what their machines were capable of. The Bonneville saw its first great racing success on Thruxton’s gruelling tracks, including locking out the top three places in 1969 and in the same year hitting the record books with the first production 100mph lap of the TT ridden by Malcolm Uphill. With European teenage cafe racers choosing the T120 to build their own ‘Thruxton’ street racers, the US East Coast importer went one step further, releasing a factory-homologated road-racing 'Thruxton' model for special order, based on the ultra-cool 1964 dirt track racing T120TT. Today, that legendary name lives on in the Thruxton range. Now sporting a powerful 1200cc engine, Showa Big piston forks, Öhlins rear suspension and Brembo disks, the Thruxton has the performance and handling to tackle any cafe run and track day. Not many motorcycles have launched with quite the same fervour and frenzy that the Bonneville Bobber did. It was the bike everyone wanted and became the quickest-selling Triumph in history when launched in 2016. 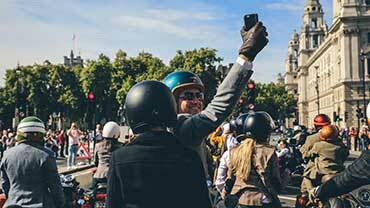 The origins of the motorcycle date back more than 60 years ago. Its distinct styling draws on a post-war US tradition of stripping your bike to its bare bones and ‘bobbing’ the rear fender for maximum speed, with Triumphs of the day chosen by many to ‘bob’ for their performance and handling. Building on their iconic style with thrilling performance, beautiful engineering innovation and premium finish, Triumph’s new Bobber line-up marries category-defining performance with peerless, original, custom minimalism. Years before Triumph’s first production factory custom Bobber, riders were ‘bobbing’ their Triumphs. Returning American servicemen in the 1940s, many of whom had gained mechanical skills working on military vehicles, applied their knowledge to their motorcycles back home, stripping the best bikes of the day for maximum attitude and performance. With the birth of the modern customising scene the Triumph Bonneville has once again been embraced as the base for countless bobber custom specials, built to deliver that beautiful, pure, minimalistic bobber style and attitude, triggering the creation of the award-winning and innovative engineering masterpiece that is the Bonneville Bobber. True to its heritage as the basis for countless custom bike builders, the bike is just the beginning. With over 130 custom accessories for more performance and style, inspiration kits to show you the way and a global network of Triumph dealers ready to customise your bobber to your own specifications, the only limitation is your imagination and budget. The Speedmaster story starts with the incredibly rich history of Triumph classic custom cruisers since the 1950s – distinctive and characterful British motorcycles built to deliver a laid-back cruiser style. 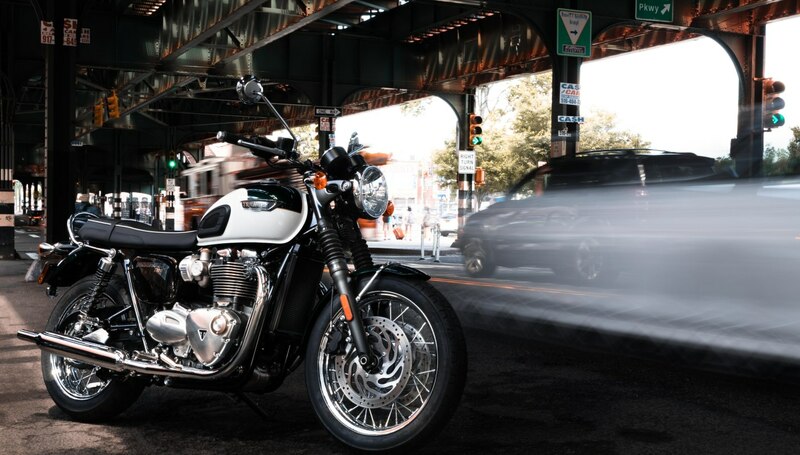 The 2018 Bonneville Speedmaster combines classic Bonneville custom DNA with all of the capability and high-quality finish the new generation has become known for. 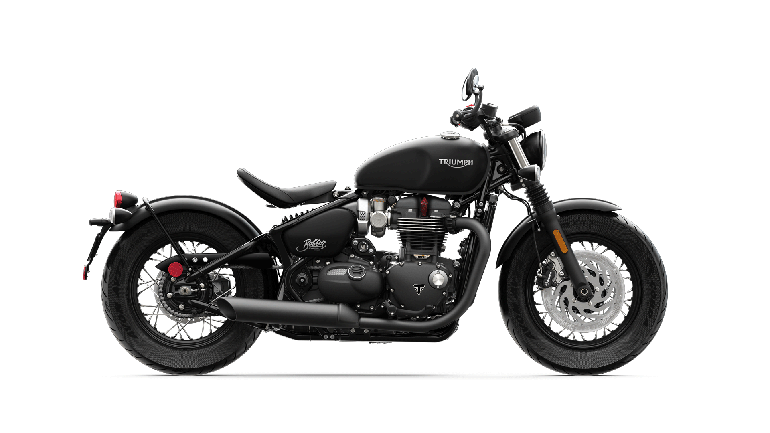 Add to this the Bobber’s attitude, technology, innovative elegant engineering and thrilling ride and sound, plus even more specification and practicality for two-up riding and a laid-back cruiser style, and you’ve got the perfect British classic custom. 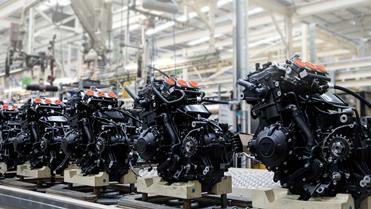 The first twin-engine cylinder 790cc Speedmaster was launched in 2002. Its design had its heritage in the classic Triumph American spec customs of the 50s and 60s, and its evolution continued with upgrades and improvements, introducing an 865cc engine in 2005 and fuel injection in 2008. 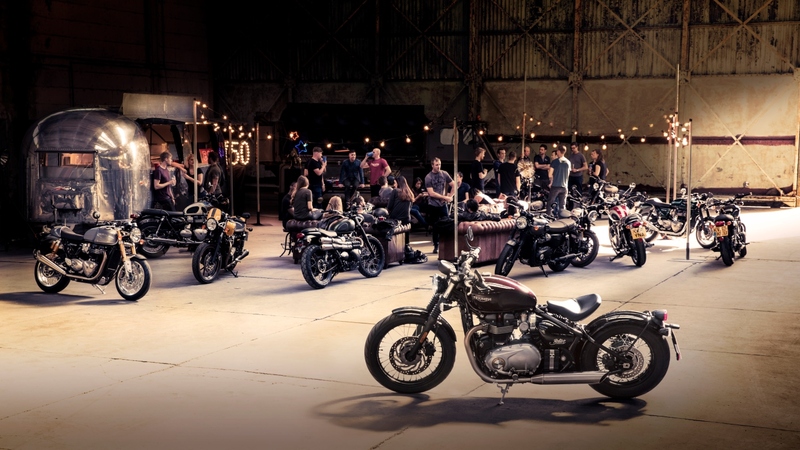 Today, sharing many of the engineering innovations and high specification with the Bobber, the modern Bonneville Speedmaster is about laid-back attitude and the cruiser riding style, eating up miles with ease while retaining precision handling and spirited performance. The Speedmaster celebrates the British custom motorcycle heritage, which emerged in the 1950s: class-leading performance, precision engineering and premium finish, all with a healthy splash of American-influenced style. Today, the Triumph Modern Classics range offers more choice than ever. Each one sharing the leading standard of modern performance, technology, design, craftsmanship and the highest quality of premium detailing and finish. 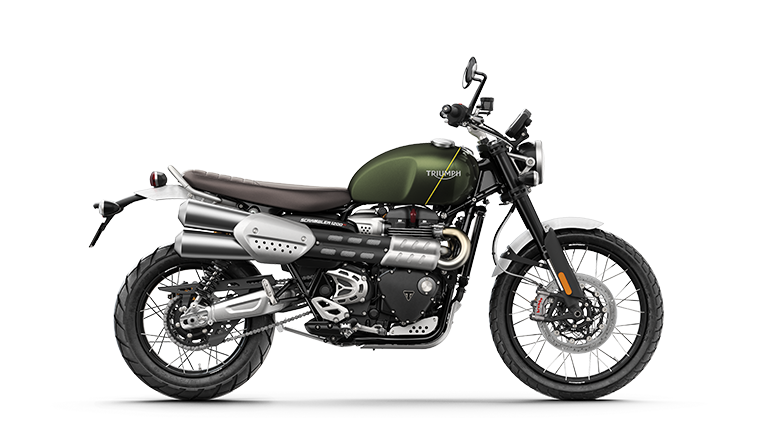 First launched in 2001 and transformed in 2015, the new line-up combines Triumph’s timeless original design DNA and style with the latest in riding technology, accessible precise handling and the new generation of the original British twin engine, tuned for thrilling torque and sound. 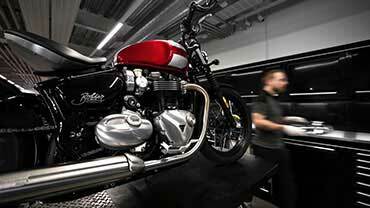 Beautifully modern British motorcycles, precision engineered for real character. 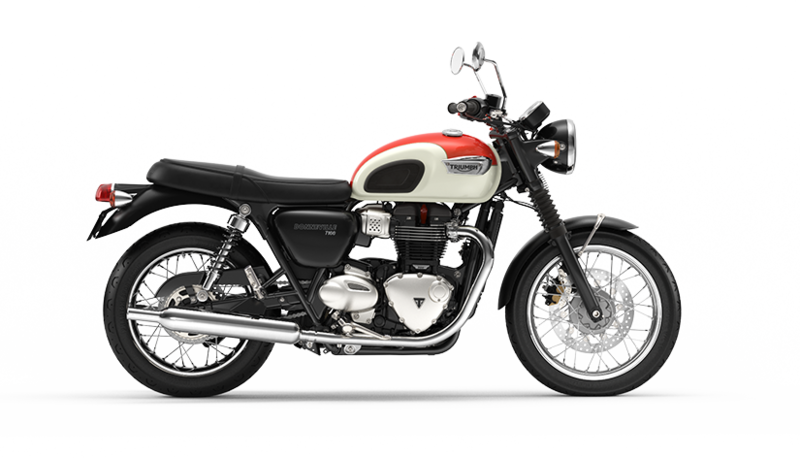 As powerful and famous as the Triumph brand itself, the Bonneville name now encompasses a family of beautifully modern classic motorcycles. 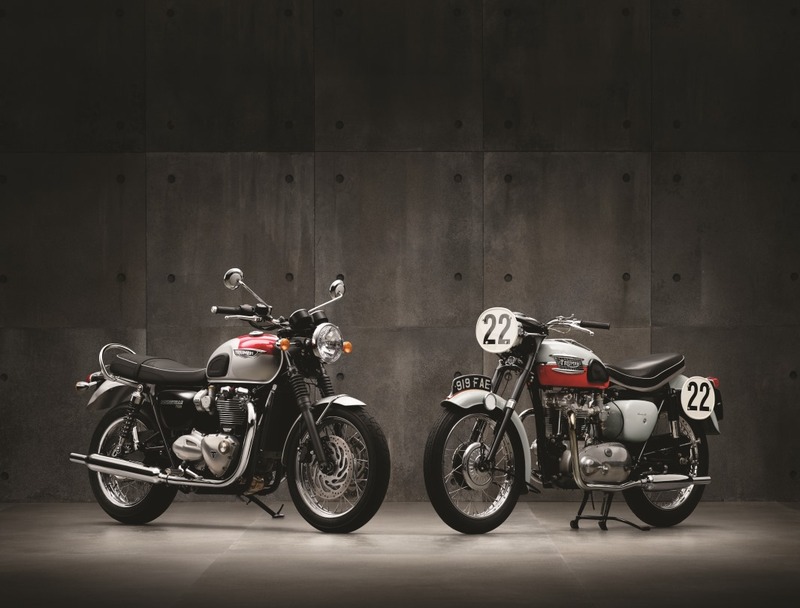 The two that most directly represent the iconic Bonnie style are the timeless T100 and T120. The T100 is inspired directly by the original ‘59 Bonneville, powered by a torquey 900cc engine and modern electronics. Its bigger brother the T120 shares the classic underpinnings but with a more powerful 1200cc engine. 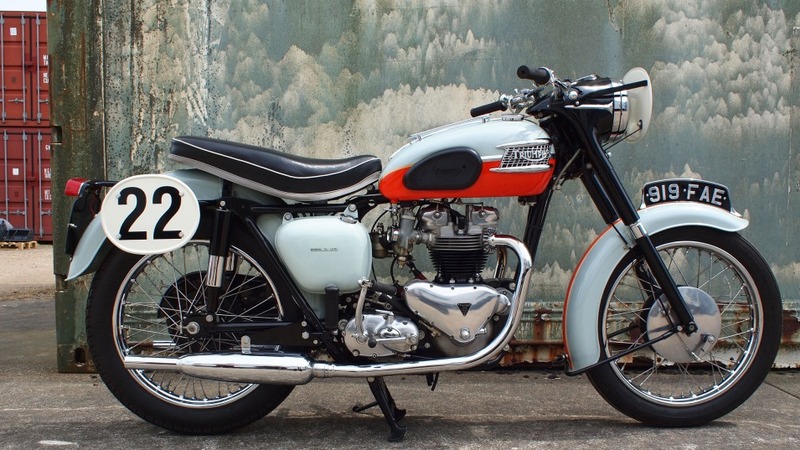 Arguably the most famous name in motorcycling and one of the most desirable bikes you could buy in the 1960s, the first Bonneville rolled off the production line in 1958 under the direction of Triumph legend Edward Turner. A race winner straight out of the crate, the T120 Bonneville made its mark as the cafe racer of choice for teenage bikers and professional racers in almost all forms of motorcycle motorsport, from track racing to endurance racing, flat track, trials and scrambling. Famously named after the Bonneville Salt Flats in Utah, USA, where Triumph smashed the land speed record by going 214mph in 1956, the ‘120’ in the name was chosen to imply a top speed for the day of an unbelievable 120 miles an hour. 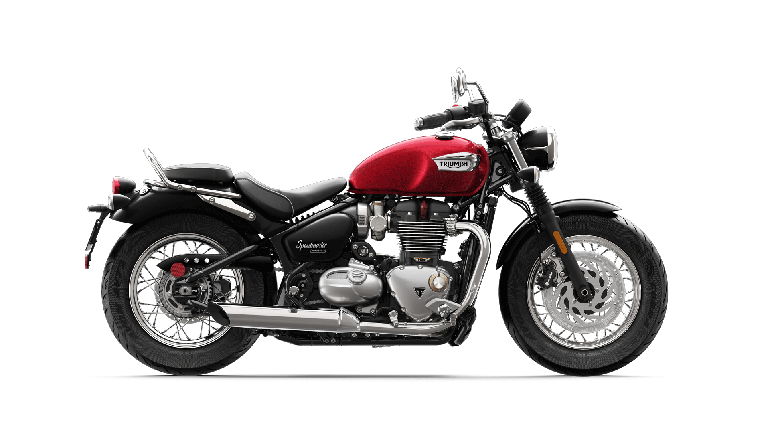 Reflecting its illustrious bloodline today there is a whole family of Bonnevilles to choose from: the contemporary, stylish Street Twin and Street Scrambler, the cafe racer Thruxton R, custom Bonneville Bobber and Speedmaster, and the timeless classic Bonneville T120 and T100. Each has its own distinct personality and original character, as well as loyal fans the world over. The Triumph Tiger goes back 80 years; that’s even longer than the iconic Bonneville. 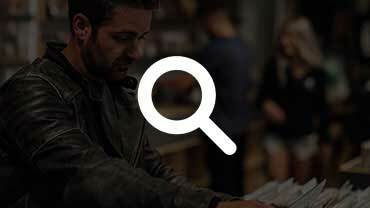 It’s an adventure story richer and older than any other brand. 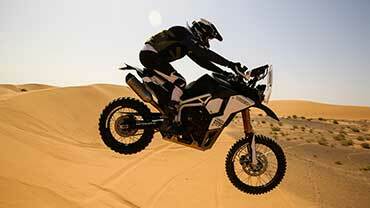 Since the 1930s the Tiger has been synonymous with genuine dual-purpose off-road and on-road touring. The Tigers, first produced in 1936, were single-cylinder workhorses. 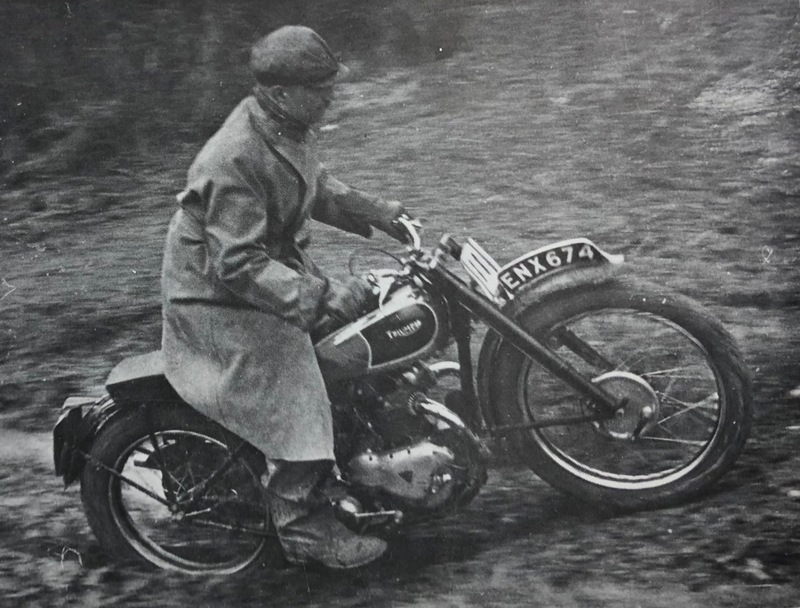 Although used for everything from racing to everyday transport, their association with the rough stuff came early on – all tested by Harold Perry, the motorcycle trials rider. The early Tiger was also the bike of choice for many in the International Six Days Trial in the early ’60s, winning in all three classes entered, first time out. As World War II hit, the Tiger was redesigned to become the rugged vehicle of choice for the military. The high-performance sport motorcycle of the time (released in 1939), the Tiger 100 was an excellent all-rounder. Bulletproof construction, by 1939’s standards, and a pretty impressive performance from the 498cc engine made it great for hauling gear and eating up the miles. 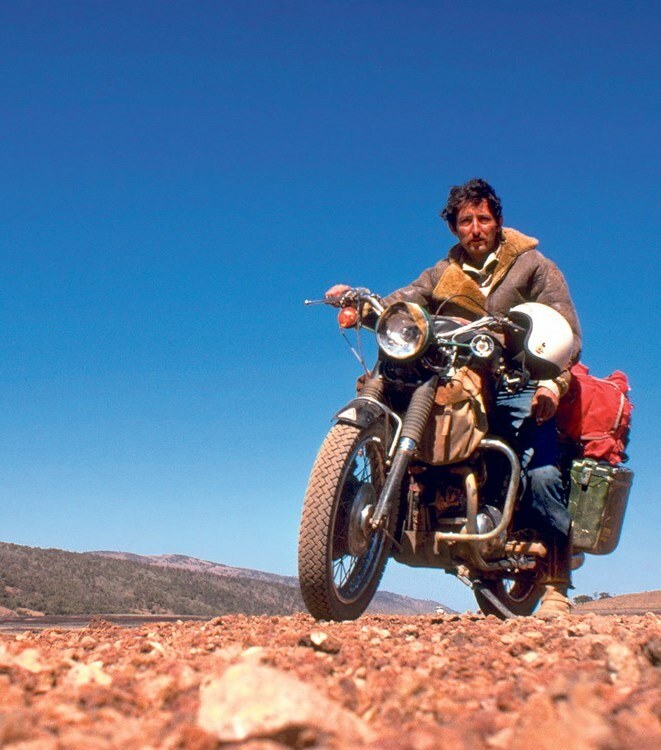 It was also the motorcycle of choice for pioneering ‘Godfather of adventure’ Ted Simon’s around-the-world trip in 1973. 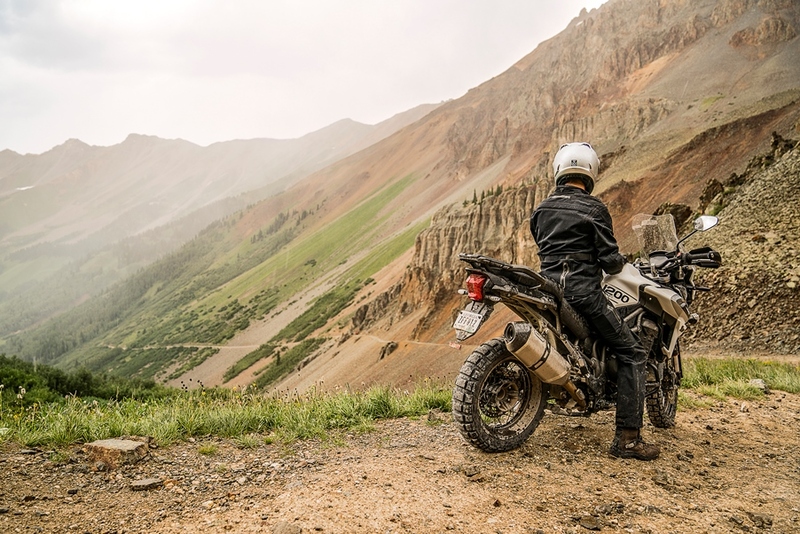 Triumph’s Tigers represent the pinnacle of adventure capability, technology and style. 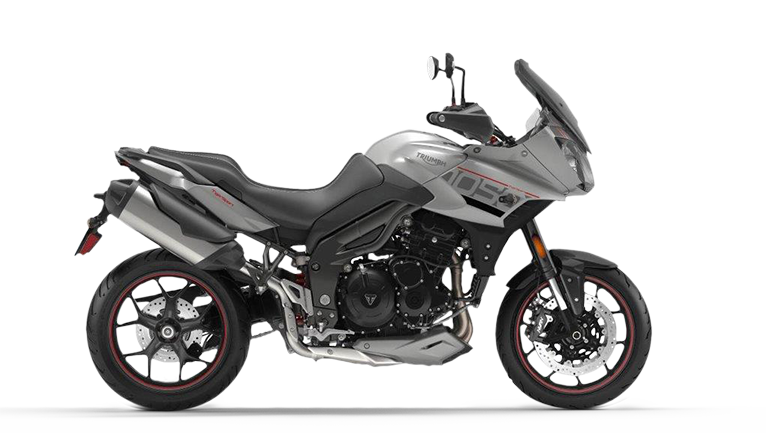 The road-focused Tiger XR line-up is all about mile-munching capability, comfort and fun. 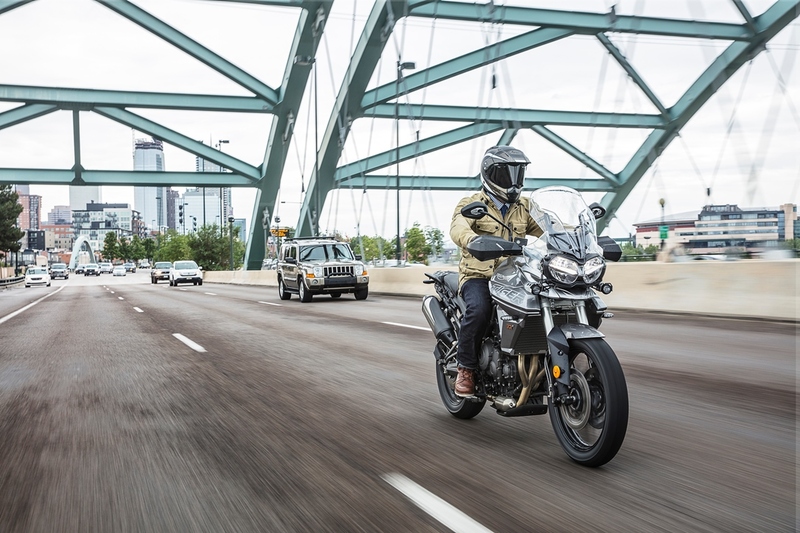 Whether it’s commuting or a coast-to-coast road trip, the Tiger Triple devours the miles with ease. Now sporting the latest state-of-the-art technology and powerful 800 and 1200cc engines, the new Tiger generation sets the benchmark all over again. Following in the footsteps of the original off-road competition Tigers, the dual-purpose XC line-up is all about going off the beaten track. The top-of-the-range off-road-focused XCA is equipped with all the latest tools to make it a benchmark-setting adventure motorcycle. Fully adjustable suspension, advanced rider modes and sharp ride-by-wire throttle response with plenty of low-down power, the 800 and 1200 XCA’S are a serious force on rough terrain. Attitude. Given a single word to describe the Speed Triple, that would be it. A stripped-back naked roadster with sport bike performance and power, the Speed Triple was introduced in 1994, inspiring a new generation of riders and introducing the term ‘factory-streetfighter'. Sharing its underpinning with the Daytona 900, its aggressive stance, minimalist style and thrilling torque-heavy, signature triple engine secured its position as THE original hooligan. 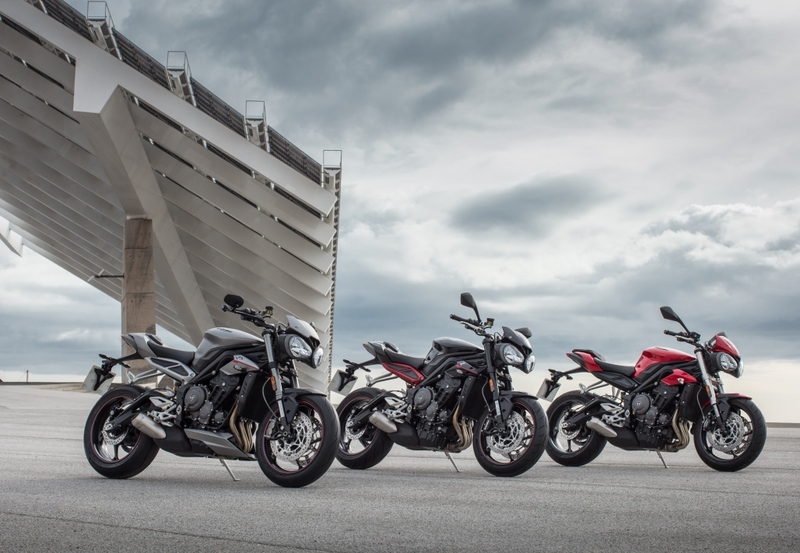 Every generation more powerful and with better handling than the last, the Speed Triple has been constantly evolved to always deliver the perfect balance of power, handling, capability and aggressive style, securing its place as a modern British motorcycle icon. From the T509’s introduction of those distinctive twin headlights and single swingarm to three generations of major engine evolution, lifting the original 855cc in 1994 to 1050cc and delivering a staggering step up in power to today’s thrilling 150PS and 117Nm of torque. 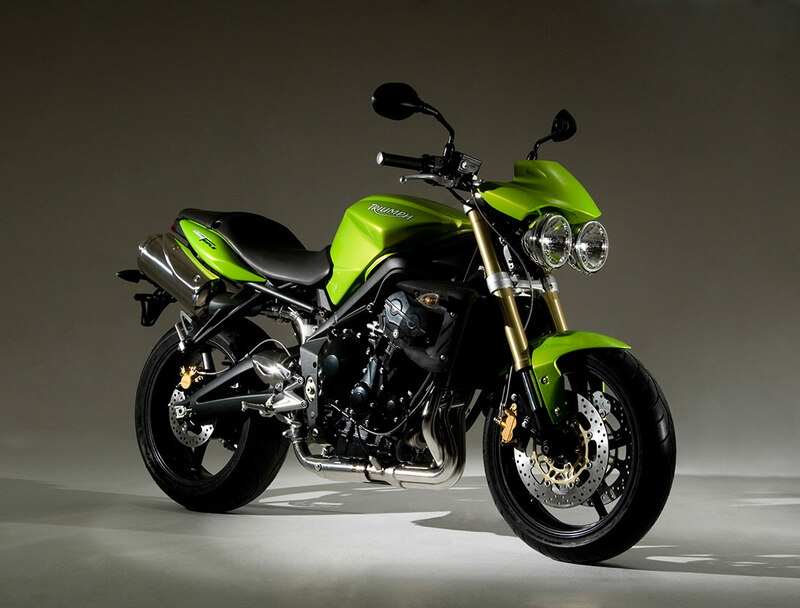 The Speed Triple has appeared widely across film and TV and since its inception has become ingrained in popular culture. 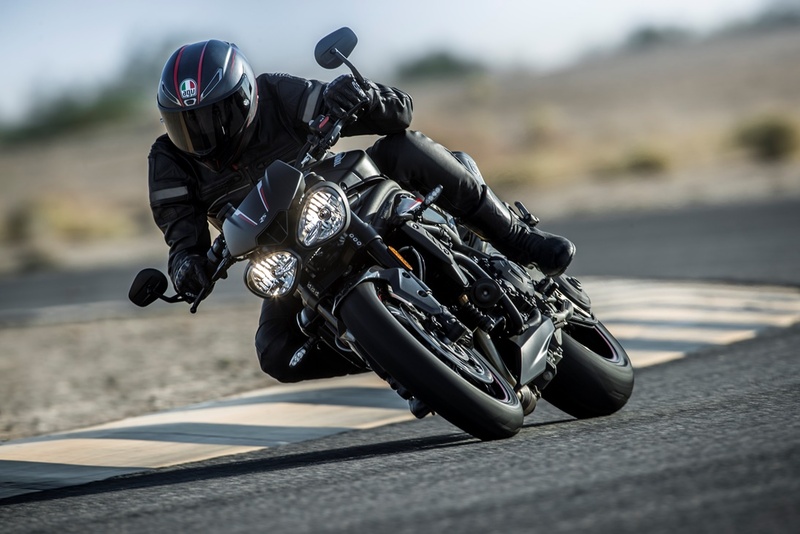 From Trinity in The Matrix to Tom Cruise in Mission: Impossible II and Ryan Reynolds in The Hitman’s Bodyguard, actors, producers and directors have chosen the Speed Triple for not only its looks but also its performance during high-octane stunt scenes. 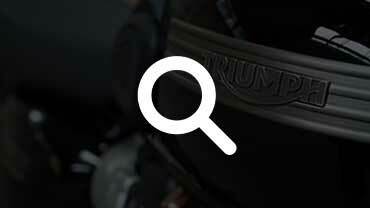 The new for 2018 Speed Triple S and RS are without doubt the greatest ever, with the next generation triple engine delivering 10PS more power and a staggering 117Nm of torque. They have the highest-ever level of rider technology, with new optimised cornering ABS and traction control and full-colour TFT instruments, and the highest-ever level of specification, with fully adjustable suspension and Brembo brakes. Combine all this with a weight saving of 3kg on the new RS and all of the aggressive nose down attitude and style and you get the sharpest, best-handling Speed Triple ever. 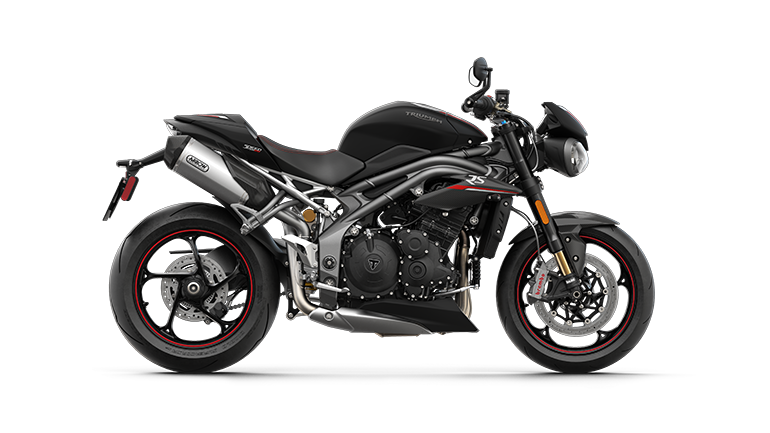 Launched in 2007 the first Street Triple was a game changer, with its thrilling triple engine performance and sound taken from the equally game-changing Daytona 675. 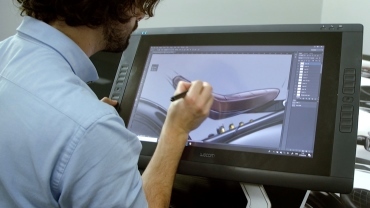 Light, fast, fun, agile and stylish, it blew the competition away and was an instant success. With the introduction of the first R model in 2009 and today’s category-leading and technology-loaded 765cc S, R and RS launched in 2017, the Street Triple continues to set the benchmark for addictive and intuitive performance street motorcycles. Loaded with high-specification features, the Street Triple R sports fully adjustable Showa suspension, Brembo M4.32 radial monobloc brakes, full-colour TFT instruments and riding modes, and 118PS of 756cc triple power. 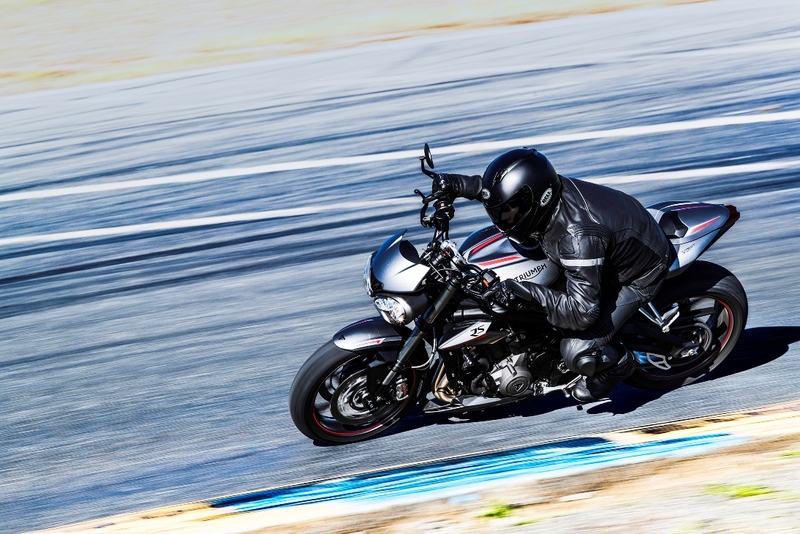 The modern Street Triple RS delivers even more with a higher specification all round and an incredible 123PS from the same 765cc engine set-up that will power the Moto2 championship from 2019. Performance is at the Street Triple’s heart. With a reputation for genuine class-leading capability, easy riding accessibility and its triple sound and character, the Street Triple is one of Triumph’s most-loved and highest-selling motorcycles. 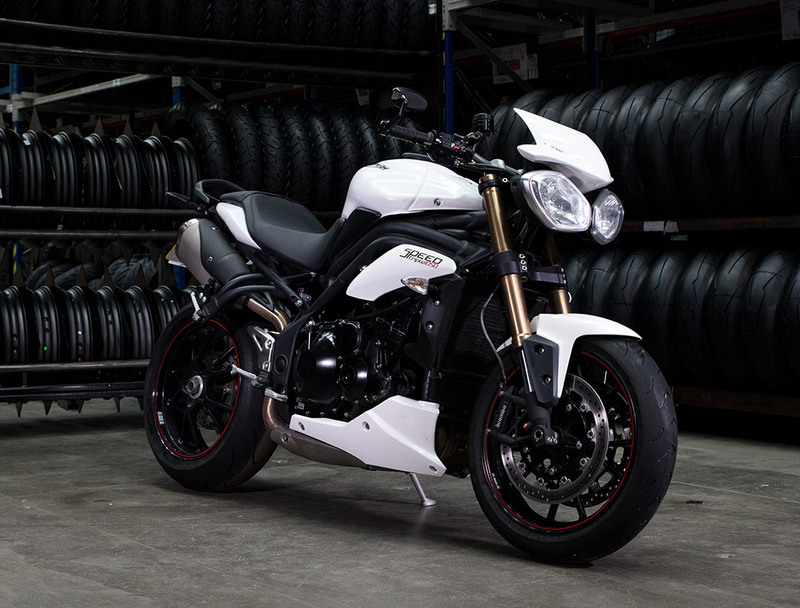 With three models to choose from, the S – the perfect all-rounder – the more focused ‘streetfighter’ R and top of the range RS – a road and track weapon – plus an even more accessible low ride height version of the R and restricted license versions of the S for Europe and Australia, there’s a Street Triple tailor-made for every ride and rider. The name Daytona goes way back to 1966. 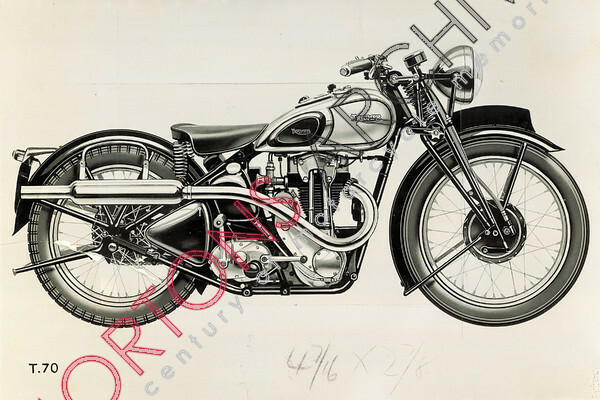 Speed, performance and racing have long been at the heart of Triumph’s motorcycles. 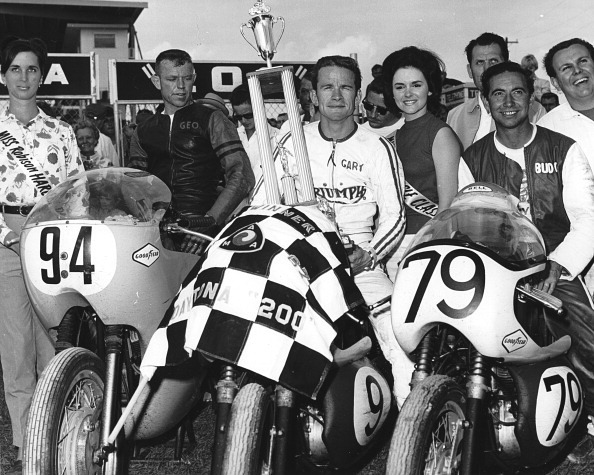 Buddy Elmore won the iconic Daytona 200 race on a Tiger 100, starting from 46th on the grid and averaging an impressive 96.6mph. The following year, the company released the Tiger Daytona to celebrate Buddy’s amazing victory. 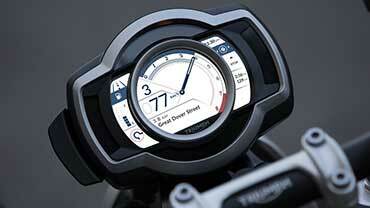 Twenty-three years later, Triumph reintroduced the name, reigniting the racing spirit. 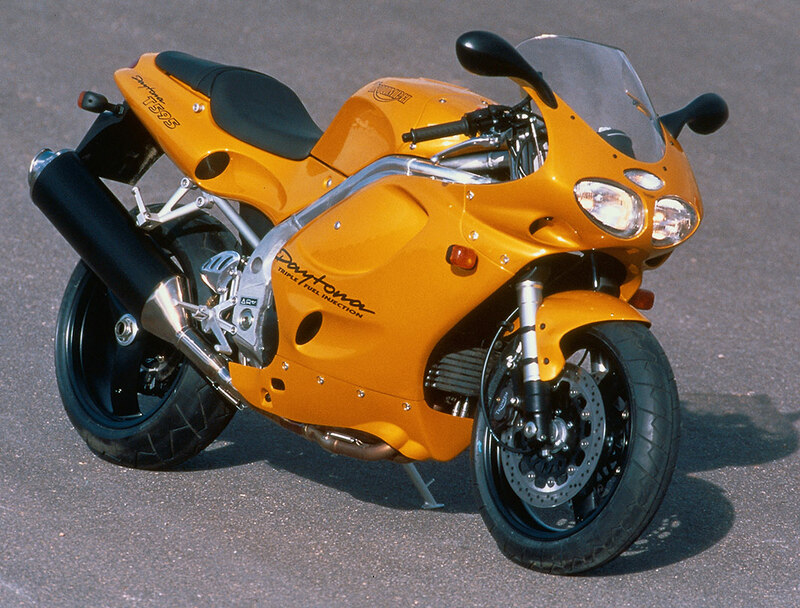 Launched in 1997, the Daytona T595 was Triumph’s first ‘modern-era’ fully focused sports bike, designed to go head-to-head with the competition. With 128bhp and a top speed of 161mph it featured an innovation in fuel injection, an all-new performance triple engine and a narrow lightweight frame. 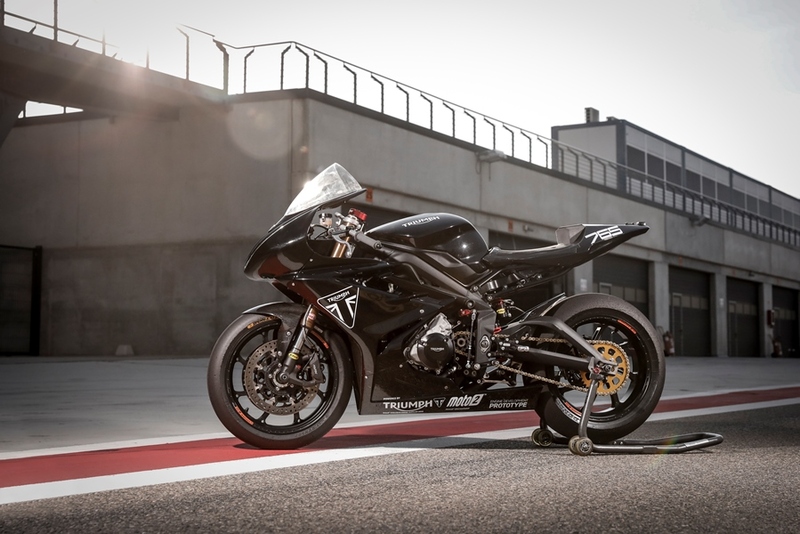 In 2006, Triumph broke the mould all over again with the triple powered Daytona 675, launched to international acclaim and 5-star reviews worldwide. Built to race, it established Triumph as a force in supersport racing, taking titles at the Isle of Man TT, the North West 200, the British and German Supersport championships and rewriting history with a grandstanding win at the Daytona 200 in 2014, where the Daytona legend began. And in the last 20 years Triumphs have returned to racing and the top step to continue the Daytona legacy, winning at the Isle of Man TT with Bruce Anstey and Gary Johnson, winning at the British, German and French Supersport championships, winning the iconic the Daytona 200 all over again with Danny Eslick in 2014 and competing in the prestigious World Supersport championship – all on the Daytona. Now as official engine of the Moto2TM championship from 2019, with its Daytona-derived 765cc triple, Triumph continues this peerless bloodline.